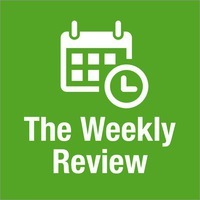 The Weekly Review - 27: Do You Know What's Next? 27: Do You Know What's Next? Jean and James trade stories of productivity milestones, as well as tasks they need help with. Jean finally completed her 2017 tax return, with help from PDFpenPro and TurboTax. James is working on an app that he’s not ready to announce yet, and he’s using Sketch to design the interface. We finish up with an extended discussion about how to decide what gets tagged “Next” in our OmniFocus systems.